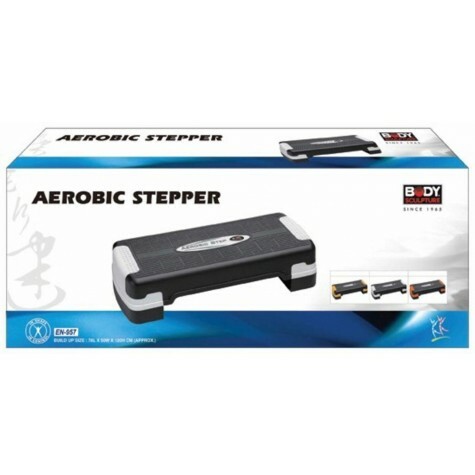 BODY SCULPTURE EXERCISE & FITNESS ACCESSORIES STEPS-BLOCKS AEROBIC STEPPER PLUS. Body Sculpture Aerobic Stepper Plus (Step High Alteration) Exercise Equipment. Sturdy aerobic step, stepping surface 63cm x 26cm. Ideal for home fitness Platform with shock absorbing non-skid surface.